The couple, Kim Zolciak and her husband of years, Kroy Biermann enjoyed the captivating surroundings of Venice, Italy in the third episode of the new season of Don't Be Tardy (20102-present). While the couple rode on a gondola on Friday, October 14's episode of her family show, Kim, 39, looked nervous to ask her husband Kroy to renew their marriage vows. 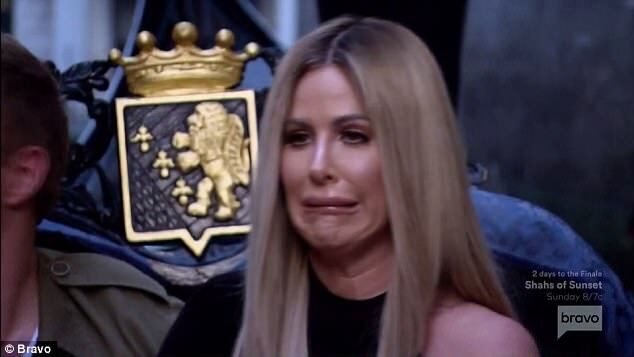 The Dancing With The Stars member- since 2005, looked confused and worried at the same time before saying she had thought of seven reasons why she is in so much love with her husband, Kroy and then asking her husband to remarry during their romantic boat ride through the Italian city. This proposal is getting the best of me at this point. There are more like 70 reasons why I love Kroy. Following much prodding, Kim was lured to gondola as anxiety was visible on her face. I'm forgetting what I have to say. It's hard to be romantic when you're having a panic attack. I really brought you here since... because this is seven years since the day we met. So I have seven reasons why I love you, six are our children and the seventh is your d***. the American footballer responded to Kroy before the couple leaned on to kiss each other. As reported by Daily Mail, the couple made up plans for a ceremony in Turks and Caicos Island after they headed back to their hotel.